For me, one of the most important differences between Christianity and Buddhism is that Christianity has devolved into something one plugs into for a hour or three, most often on Sunday, and then goes on about one's week without ever having to turn a thought to one's religious or spiritual beliefs. Of course, some of us do, especially those of us who have a vocation that is connected to our beliefs, but as anyone who has ever met a Christian can readily attest, there are plenty of people who profess Christianity but whose behavior throughout the week is far from being informed by their supposed Christian beliefs. If one is really a Christian, for example, how could they cheat their clients in business ventures? Wouldn't their values inform their behavior in the marketplace? The answer, of course, is "not necessarily." The reason is that many professed Christians have successfully compartmentalized their religion to a Sunday morning only affair. They don't really have a spiritual practice, or if they do have a spiritual practice it is one that requires the presence of an ordained person to engage in - such as receiving communion, for example. When you have a spirituality that can be "performed" with little more effort than you spend filling up your tank at the gas station, is it any wonder that people have found Christianity supremely dissatisfying, even irrelevant? The truth is that, at the time of Jesus, spirituality couldn't be easily compartmentalized. The Jewish Law reached into all corners of life. Perhaps more importantly, we see from the scriptures that Jesus frequently went away to a "lonely place" and spent the night in prayer - what we might call meditation today. Like Buddhism, which encourages practitioners to have a meditation practice, the Judaism of Jesus' day and the early Christianity that arose from it were steeped in daily spiritual practice. Regardless of the religious tradition which we claim, or from which we have proceeded - even if that tradition is one of being completely un-churched - we can benefit from meditation. Even if our outlook on life is completely secular, we can benefit from meditation because it is a way of working with our minds, working to reduce our suffer, and learning to be compassionate beings. 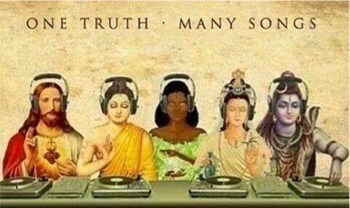 I'm a follower of Jesus and Buddha. Jesus is the tradition in which I have been steeped by family and culture. 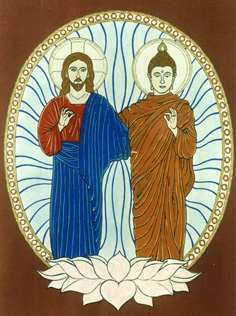 Buddha is the one who made Jesus and Jesus-spirituality finally make sense. Meditation makes it all come together. Why not give it a try? Can you suggest how one combines the two? And can ou offer insight on how one follows this sprirtual path while still striving for success in business? Any insight? I don't know if it is so much a matter of combining the two for me as it is a matter of allowing Buddhist teachings to inform my Christian experience. Buddhist meditation is very similar to Christian contemplative prayer, for example, which is why meetings such as the Gethsemane Encounter between Christian and Buddhist monks actually work. They share a common prayer experience, and so there is much to talk about. As to striving for success in business, I don't see any conflict with striving for success in anything and any spiritual path. I would say that it's important to have a system of ethics that informs business decisions - not cheat the customer, pay a fair wage, and so on. I also believe it's important to support the needy, but none of that says you can't be successful. In fact, Bill Gates' foundation is an excellent example of how to be successful and also be charitable!